The exterior of a home or business goes a long way towards making the first impression of the family or company. That may sound a bit harsh, but it’s true. When someone sees the outside of a building, if the paint job looks great, then they’re more likely to think well of the building’s occupants. If it’s a home, it makes the family look good. If it’s a commercial place of business, then it makes the business look good. Our job is to provide the kind of painting that makes your home or place of business look incredible. 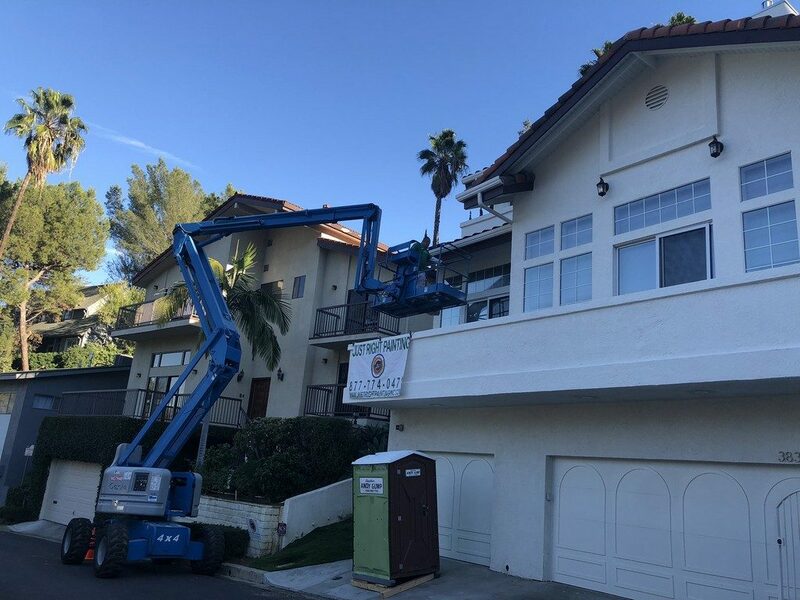 In this blog, we’ll go over some of what our exterior painting in West Hollywood can do. We’ll also cover what sets us apart from the rest. If you live in, work in, or just pass through West Hollywood, look around sometime. Just look at the buildings. If you live or work there, you can walk around. Although, even if you’re just passing through, taking a moment at stop signs and traffic lights to look at the buildings will give you a clear idea of what the area is like. Everything looks great. Style is so important anywhere in Hollywood, but we’ve found in West Hollywood, the buildings really stand out. To make your home or commercial building different from the rest, you need a paint job that gives your place that extra boost. That’s where we come in. West Hollywood is unlike anywhere else on Earth. 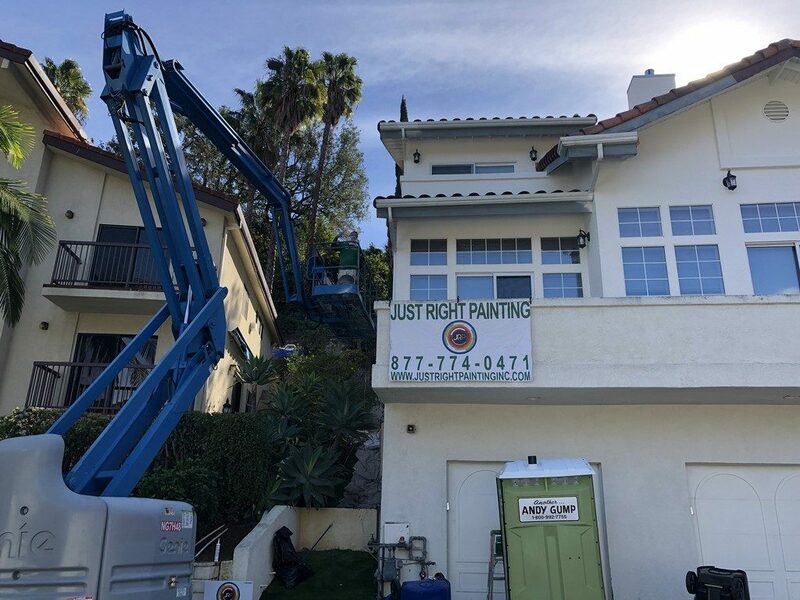 We’ve been providing exterior paint jobs in West Hollywood for a long period of time. We know what the environment is like and we know the high standards that the area requires. Furthermore, we have a proven track record of meeting and exceeding those standards again and again. If you’re new to the area, we can help. We’re always glad to sit down with clients and talk about their exterior painting. We can go over exactly what is right for your home or place of business so that you’re giving off the exact vibe and aesthetic feel that you want. Your home is your castle. It’s the place where you’re going to spend most of your time. So, you want it to look good. That’s true while you’re living in it, because you want it to look nice for your family, friends, and any guests. When you’re proud of how your home looks, you’ll feel better. By that same token, if you are thinking of moving, an exterior paint job can make all the difference in the world. Bringing in potential buyers is a lot easier when the exterior of the home looks incredible. It can be that literally eye-catching thing that convinces someone to look at the house. An exterior paint job can be the first step towards getting someone to buy your home. Regardless, it can absolutely raise your property value. In West Hollywood and really the greater Los Angeles area, there are a lot of businesses to choose from. Your company is no doubt unique, but in an environment this big and populated, there’s probably someone else who does the same thing that you do. A great exterior paint job can be one thing that separates your company from the rest. Not only will it bring people in who see your business from outside, an exterior paint job can help your business online, too. Many of your prospective customers can probably see pictures of your establishment on the internet. Your exterior paint can make a first impression on people who’ve never even come by your building. We’ve told you what can separate your business from the others, so it’s only right that we mention what separates us from other exterior paint companies: experience, for one thing. We’ve been doing this for a very long period of time. Over the years, we’ve found what kinds of paint jobs look great as well as the techniques that make one so much better than the rest. Now, we can put that experience to work for you and your building. With the experts by your side, we can make your paint job exactly what you want it to be. Every step of the way, we provide our customers with the utmost in professionalism. We offer estimates that are exactly what they say they’re going to be: no surprise or hidden fees. On top of that, we make sure that we’re on time when we say we’ll be, always with the best of materials and techniques. Exterior paint jobs are too important to be left to the amateurs or people who aren’t familiar with West Hollywood. For more, call us at (323) 689 5970 or head to our site.